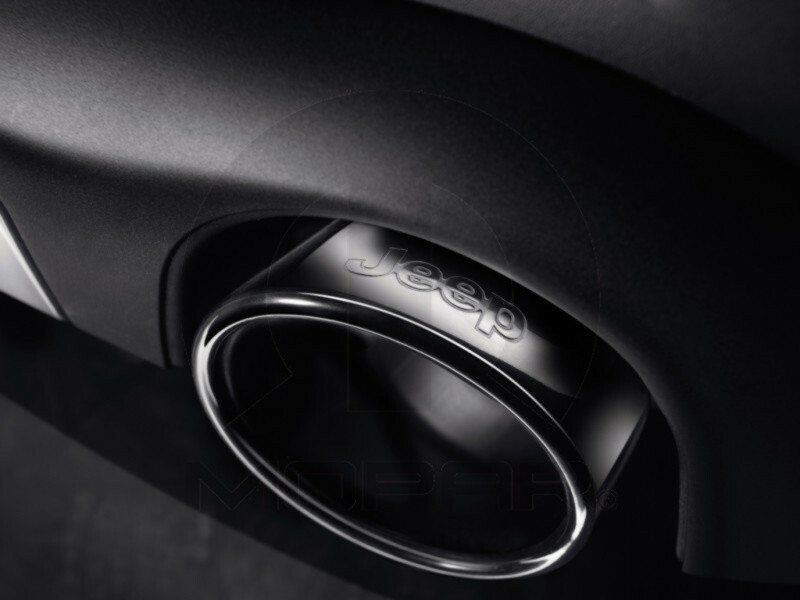 Mopar Black Chrome Tailpipes with the Jeep logo for V8 and V6 gas-engine vehicles. The black chrome dual exhaust tips fit my 2014 Jeep Grand Cherokee Altitude. They compliment the blacked out look. The tips are made very well and have nice beefy feel to them. They lock in place by adjusting 2 lock screws on each one. After 100+ miles I made a check on the tightness and found no issues. Overall a great product to which I would highly recommend for the look and craftsmanship. Very nice, well made, but some things you should know. These tips are made in Austria for MOPAR. They come packed in individual socks with foamed in place packing material, in a box, in a box full of packing material. They are really well designed and well made. Like a couple of others I was missing one of the allen screws needed to install them. I looked through the boxes and the packing, no such screw. Being made in Austria I needed a metric allen screw, local hardware store had them. 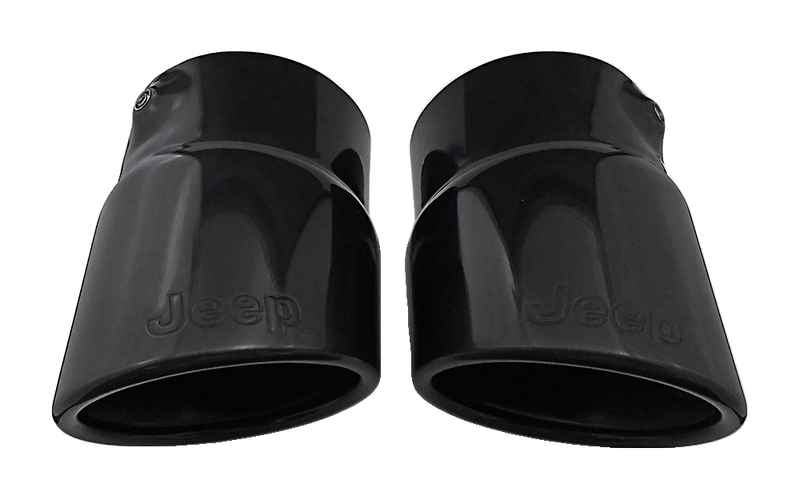 If you install them with the Jeep logo at 12 o'clock it turns out there is a definite right and left tip. You will also need a metric allen wrench, read this as a single wrench. I have allen wrench sets with multiple wrenches on one handle, those will not work, there is not enough clearance. I suggest using a rubber mallet to tap them lightly into position, it is possible to install them at weird angles if you don't seat them on the existing tips correctly. Also, there was something said about the finish. Yes, the finish was hazy, almost flat. not sure if that was a byproduct of manufacturing or the packing foam but a coat of car wax removed it (it was black) and the tips buffed up nice and shiny. They are pricey for sure, but they are very well designed and made and look great installed. ProsLook great. Really well designed. Well made. Easy to install. Added Dual Exaust tips to my �€˜15 JGC. Quality product, looks good and super easy to install. With so many Grand Cherokees on the road, it just adds a little something extra from an aesthetic point of view. Not a big difference but a subtle one. It would have ordered them sooner it�€™s just that they are SO EXPENSIVE. 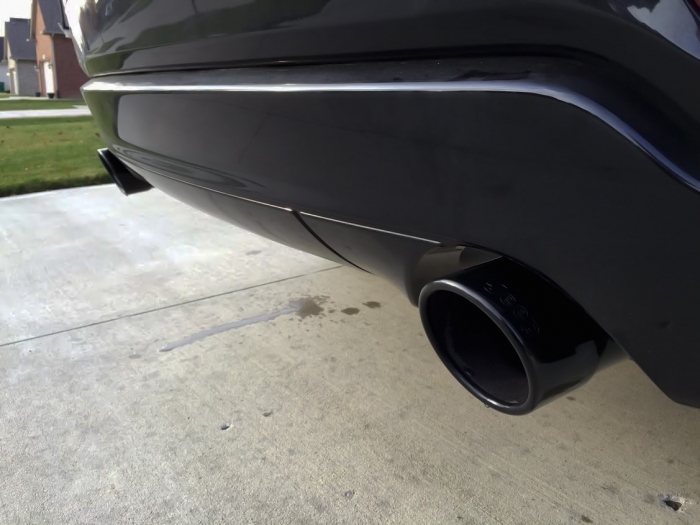 These extensions look great for a black chrome look. 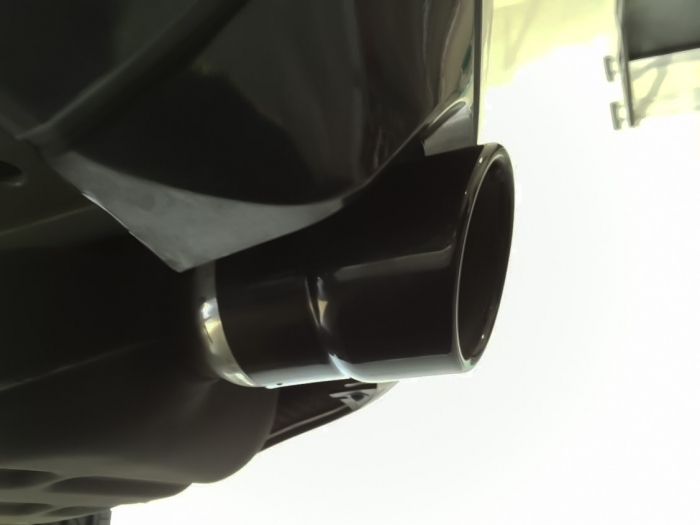 You simply slip them over the stock exhaust and tighten the two screws (per side) that holds them in place. I had no problems and I would rate it about a 1 on a difficulty scale. You will need a small Allen wrench to do that. I forget what the size was, but you can find Allen wrenches everywhere......bring one screw with you and you can make sure you get the right one! I read someone else's review on this item where the screws were missing, but I found that two of them had worked themselves loose during shipment and I found them lodged between the inner walls of the exhaust tips....easy to dislodge and put into the proper holes. 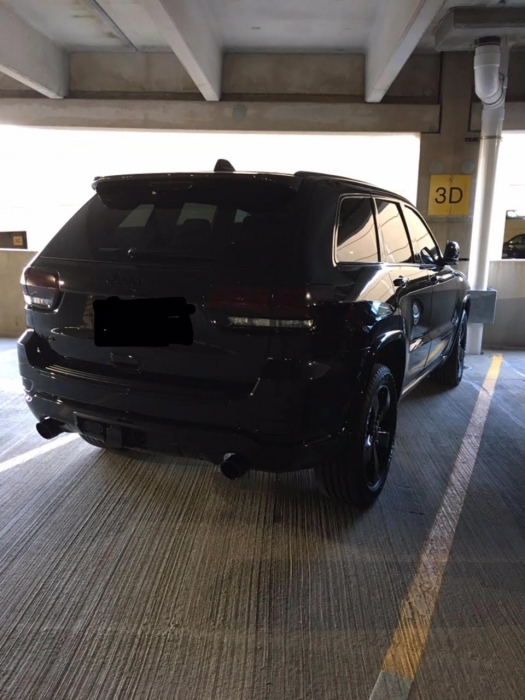 This is the second Jeep Grand Cherokee I have used them on.....the first was the V6 and this one is the Hemi V8. Highly recommended for the looks. These are more dark grey in color than black, especially when compared to my Jeep. They were quite dirty as shipped, had to clean them. The inside of the tips are also lacking quality in my opinion, at least for the money you pay. However, they do compliment the Jeep quite nicely, sticking out just a bit and adding some style to the lackluster chrome tips. I'm glad I bought them, but do think they are overpriced and could be darker black like the picture.